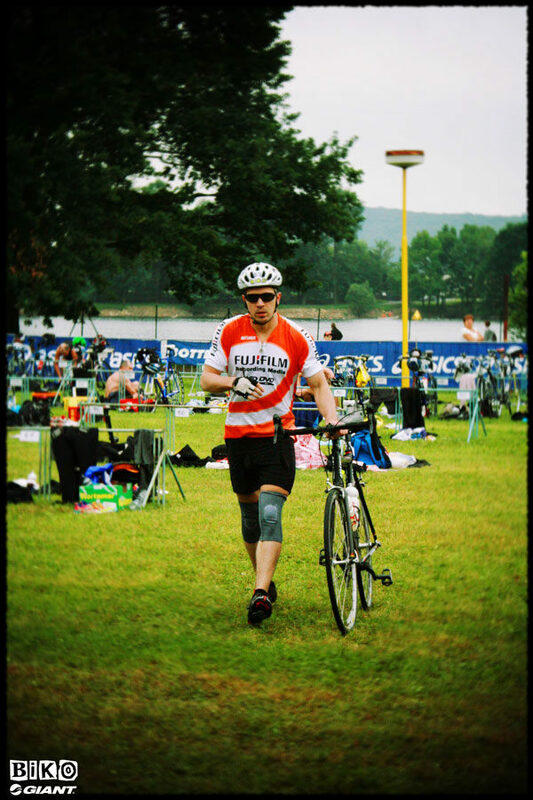 Give it a "Tri" in the Czech Republic - BIKO BLOG - Cycling in Prague, Czech Republic & more! Standing practically naked, there I am behind 175 chiseled triathletes wearing neoprene wetsuits and I have my Speedo swim shorts which make me, the lone American in the race, and a few others stick out like sore thumbs. So many thoughts were swimming through my head like should I have at least rented a wetsuit? Do I go out in the middle or wait for the group to take off? Will I get too cold and unable to finish the 3.8km/2miles? Am I ready or even capable of moving 212km/180miles nonstop? 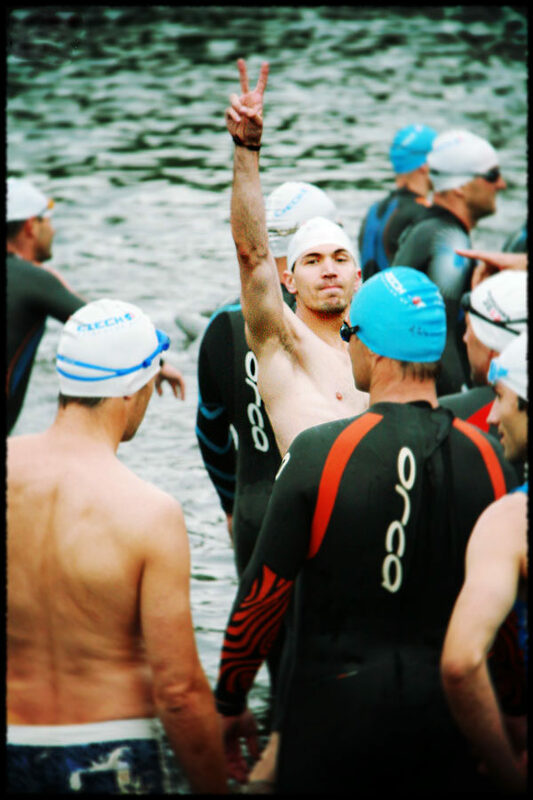 The group lines up; the gun goes off; it’s 7am on the 23rd of June, 2012 and I’m competing in my first Ironman distance triathlon in … Otrokovice, Czech Republic! Having moved to Prague in January 2011 I had already visited and knew quite a bit about what it had to offer- original gorgeous architecture still in tact, delicious food and beer at very affordable prices, great parks and that air of excitement that only 900+ years of history can offer. What I wanted to find was the sports side of it and try some 3-disciplines races- a relatively new hobby of mine at that time. Luckily, In April of 2011, I met the soon-to-be Biko owner, Filippo, at a language grammar training as we were both teachers of our respective mother tongue. 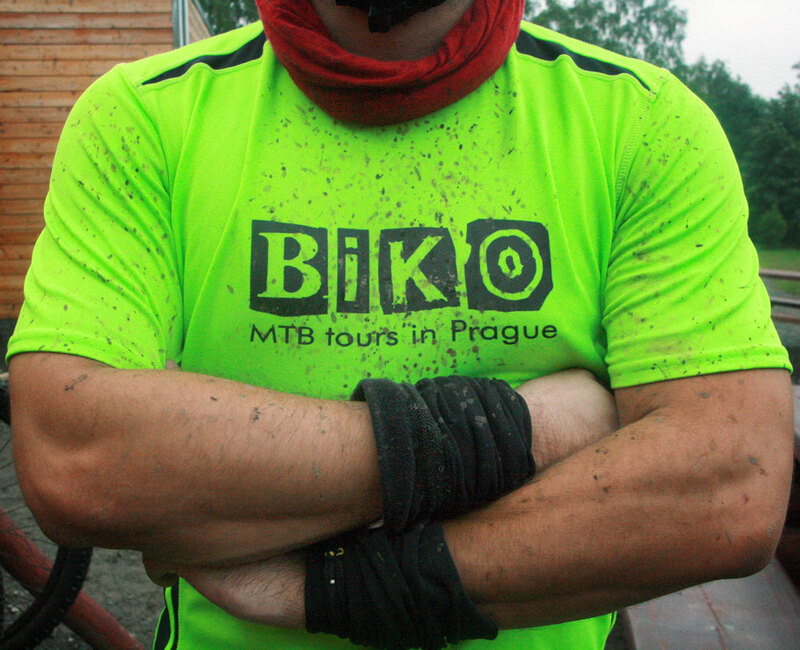 From that point, I was connected to Biko and all the adventure spots in Prague. 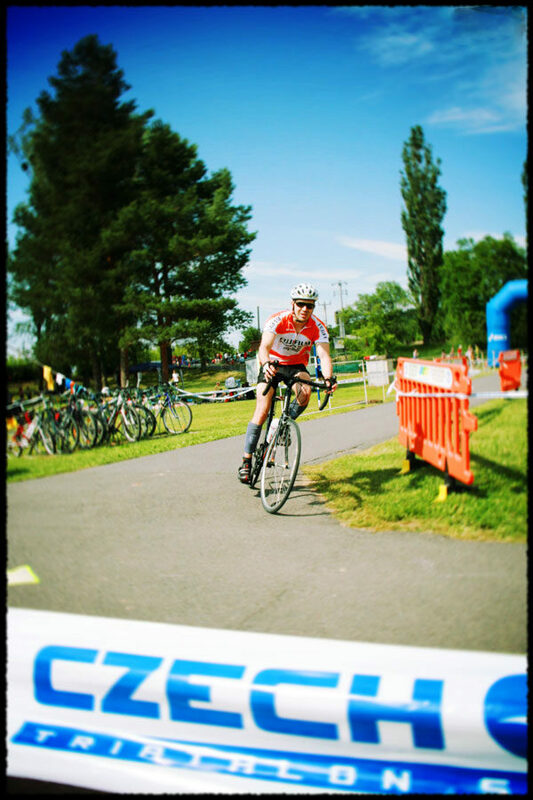 So, the months that led up to the full distance triathlon was never dull and always picturesque. My favorite running spot was taking the Vltava river from the northern district of Prague 6 Dejvice westward and running alongside it through Bubeneč where the original red brick water filtration facility sits and is now a museum, then past the Prague Zoo, eventually running between some gorgeous light brown cliffs that look as if they were plucked from the Mojave Desert, and finally under an aqueduct-like train bridge before making my way back. Now, my favorite spot is Prokopske Valley which is where we take our Biko Hiking tours. But Divoka Sarka in Prague 6 and Hostivar Park in Prague 15 are equally great. 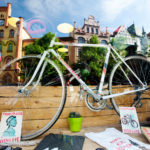 The cycling track was comprised of undulating roads from the same area- Prague 6 Dejvice to Okoř Castle which was built in the mid-fourteenth century. On the ride taking you northwest from Prague, you encounter steep, gradient-rich hills, gliding commercial airliners directly overhead on final approach to the Prague Airport, cow pastures and horse farms, small towns with narrow roads and the coveted open country roads that allow you to step on the throttle and increase your cadence. For my longer rides, I would tack on extra kilometers by riding past Lidice, a town that was tragically decimated during the German occupation in WWII where a monument and large open field now stand, then to Jaromir Jagr’s hometown of Kladno and hoping to run into him; it never happened on a ride, but I did get to meet the legend on a separate occasion. It was roughly an 80km loop and because I wanted to compete in a full-distance triathlon I had to double it when necessary. 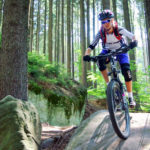 Only later, did I take advantage of our Biko road bike tours and ride to places like Tabor, Krivoklat Castle and the gorgeous Karlstejn Castle. Admittedly, swimming was much less astounding. I spent a lot of time and swam a lot of laps at the YMCA at Namesti Republiky (Republic Square) in the centre of Prague. It is a typical clean, relatively modern 25m pool that didn’t get too crowded so it was the place. The one nice thing was paying for the pool, but being able to use the weight room with no additional cost. In the warmer months, I used the 50m outdoor pool named Podoli which several of our Biko tours pass. They’ve even got a smaller zone for kids and families as well as a 50m indoor pool. Even on the more crowded days you can swim unobstructed. For “open water” swimming you can go to Hostivar Park (which I already mentioned), Džbán in Diovka Sarka (again, already mentioned) or Konětopy pond about 28 miles from Prague. 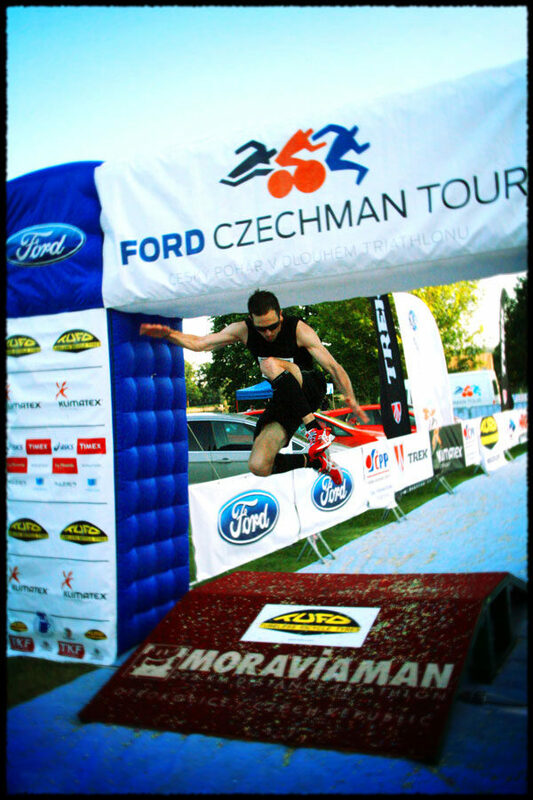 All of these were new to me at the time, but were used to prepare me for the ultimate goal… The Moraviaman Ironman in Otrokovice, Czech Republic. 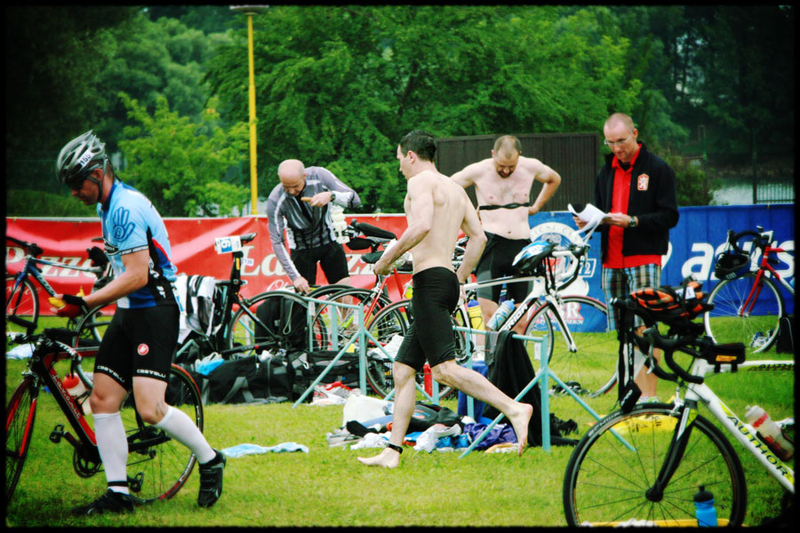 This is the Czech championship long distance triathlon that takes place in late June every year. I would recommend this race because of the low registration, calm lake, relatively flat roads for cycling, and decent support for running on those same roads. The organization is very good and the best Czech and Slovak triathletes come out for this so you can see how you measure up to them! 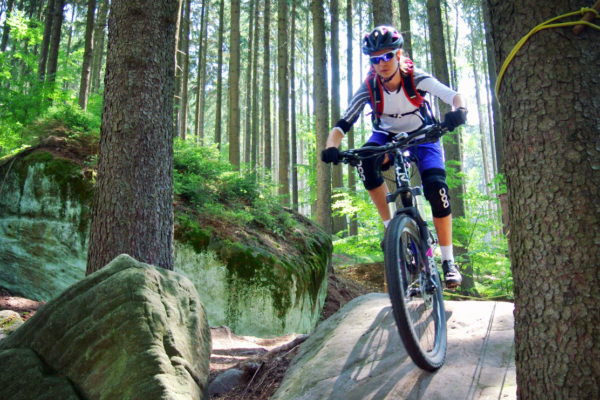 Another Czech Cup race is the Krušnoman Duathlon, which takes place in the northwestern Krušné mountains where you run 5km on the side of a ski mountain, ride 80km which puts you into Germany for part of the race, and another 15km run to finish off the race. The best of the best come here and it’s early in the year, May, so you need to have a good off-season to do well here. 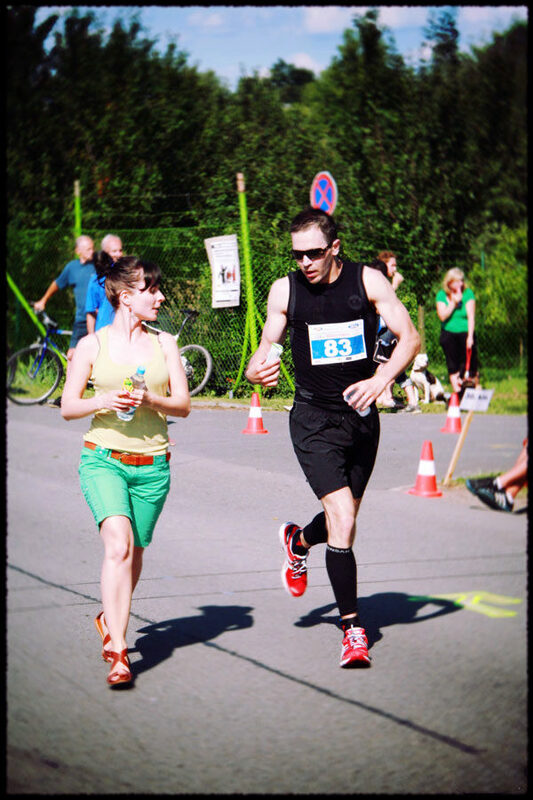 The most popular 1/2 distance triathlon is the Czechman Triathlon near Dominik Hasek’s hometown of Pardubice. It is held in late May / early June each year. 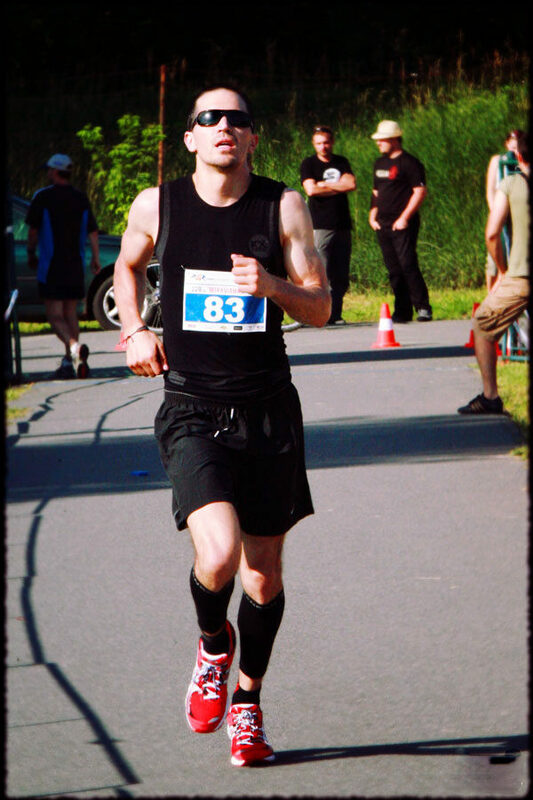 The Hopman 1/2 triathlon, held in Zatec is much smaller, but a true pleasure to participate in. Very friendly organizers who are thrilled to have foreigners. My group of friends consisted of two Czechs, an Aussie, a Kazakh, and myself, an American which makes for a good joke and we sure shared a lot of laughs. 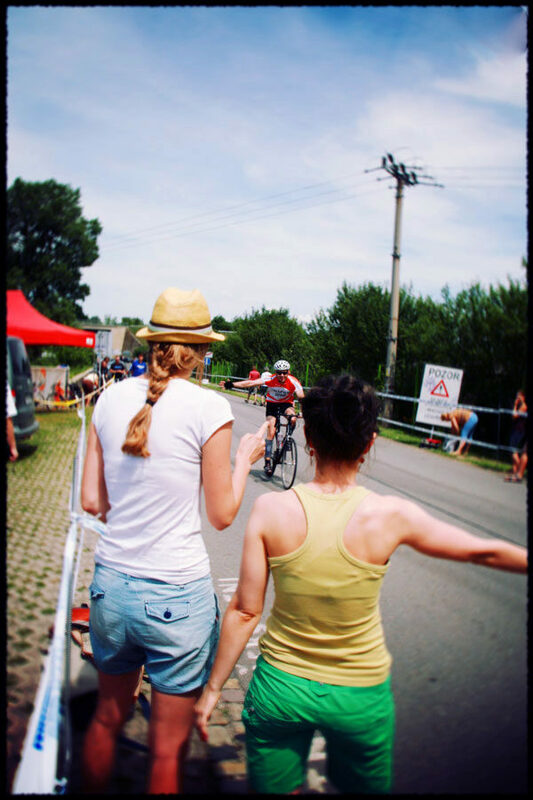 If you want another full distance triathlon, head south to Piestany, Slovakia for the Slovakman Triathlon. This is a charming spa town, in the north central part of the country, but be sure to utilize that after the race. You can compete here in early August, but be prepared for some heat! Or, if it is anything like 2016, some strong winds. 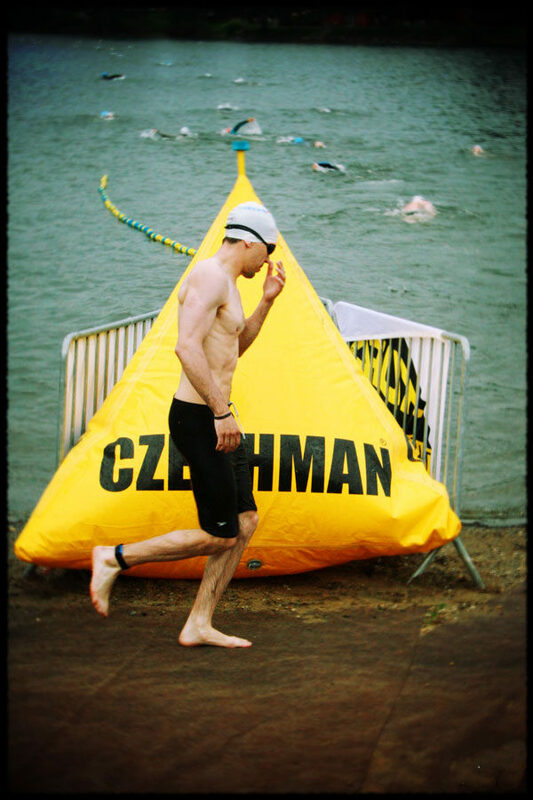 If you want to stay local, don’t fret- Prague has it’s own triathlons- the Czech Bigman triathlons! 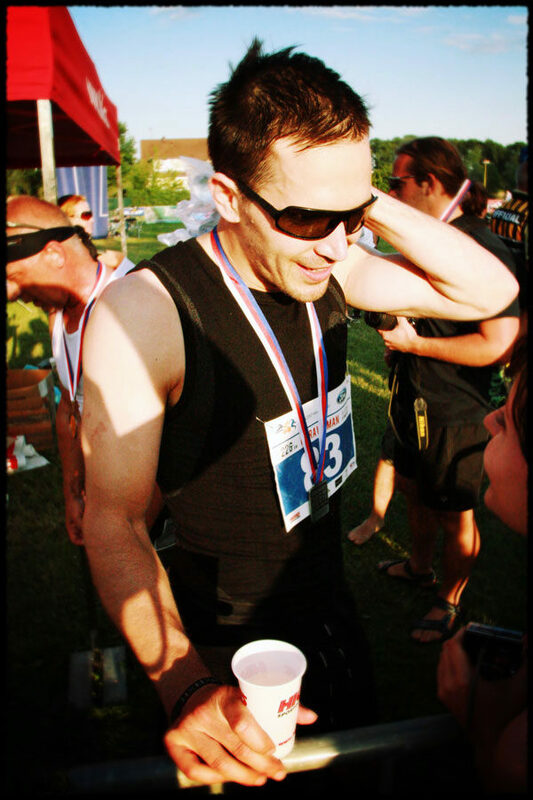 It starts with a terrain race of 1km swim, 25km MTB bike, and 5km run. Why so short? The very next day is the 1/2 and full-distance races that a lot of the top guys compete in after. This takes places just south of the center of Prague in a district called Velke Chuchle. The great news is, you don’t need to be a triathlete to compete here. Pretty much every weekend, there’s some kind of race happening in and around Prague. You can see the list at www.behej.com It is in Czech only so you might need to sharpen your Google linguistic skills. 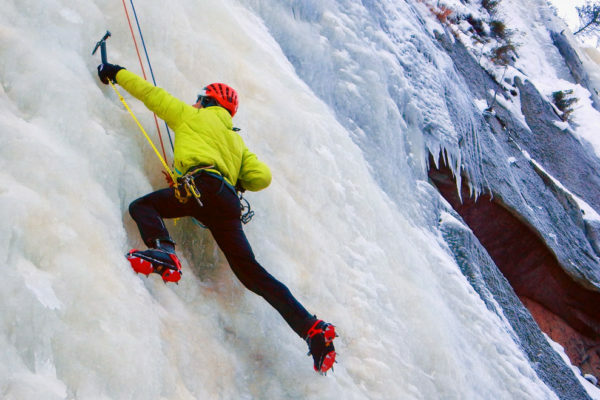 Or, a much friendlier option is to be in contact with us in Biko Adventures and help steer you to some unique, unforgettable experience. 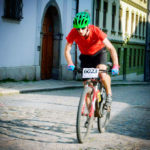 Next post 24h MTB race: suffering is fun!